If you decide a credit card is a good option for your business, don’t venture in that direction without first designing and implementing effective controls. Sadly, the company credit card may be the most common opportunity for employee theft and embezzlement in today’s medical practice. Here are two examples that we have heard recently. The lead physician in a small, three-doctor orthopedic group noticed a couple credit card charges that seemed questionable. He dug deeper and found that his manager of 15 years had made personal purchases exceeding $50,000.00 over a few years’ time. A podiatrist’s accountant stumbled across some anomalies in the practice expenses. The manager had written reimbursement checks to herself and had even drawn double pay-checks (forging the physician’s signature). Finally, a forensic accountant ferreted out fraud that included the manager acquiring credit cards in the name of the practice and charging personal purchases—including vacations for her and her significant other. Employee dishonesty plagues medical practices of all sizes, but it’s never more disheartening than when the most trusted employee—perhaps a longtime manager—violates the physicians’ trust. More often than not, embezzlement is a crime of opportunity, and the perpetrator succumbs to temptation, often with the intention of paying back what he or she took. Just as “locks on doors help keep honest people honest,” accounting controls help good people stay on the straight and narrow. Because credit cards represent a very easy path to employee dishonesty, you have no choice but to put effective policies into place—and then follow them. Limit the number of cards. 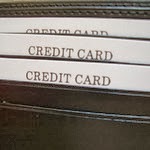 Multiple cards require more time each month to review the statements. Consequently, you may be tempted to let the tedious task slide. Write out your policy, and have employees sign a copy before you issue any credit cards. Review all charges every month. The physician who signs the checks should review the statements. Ask questions—verify each item as a legitimate business expense. Require itemized receipts from every card-holder. Have your manager match and attach a copy of each receipt to the corresponding statement. Make sure that credit limits for employee-held cards are set at appropriately low limits with no cash-advance privileges. Include in your policy that credit card purchases over a certain amount require pre-authorization by management or partners. Finally, ask yourself whether your practice really needs a credit card. Many companies, large and small, get along fine without them. Managing and monitoring cards require a lot of effort. On the one hand, it may be worth it to be able to take advantage of great prices, good deals, and bonus points/cash flow management. On the other hand, if you don’t want to monitor them closely, cards are probably not a good idea for your practice.